I got stuck here a little bit but these puzzles are great. I love this Zelda. 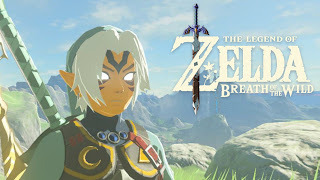 Fierce Deity Link Armor hidden in Breath of the Wild! I know it is a major armor spoiler but this is my favorite look for Link. It seems a lot of people have found it weeks ago you can only get it with upcoming amiibo release. I hope I can buy the amiibo when it comes out later in the year. Uploading an hour long video of how to upgrade this beautiful armor to the max. Fierce Deity Link looks badass!